C. David Minifie joined Centene, a Fortune 500, multi-national health care enterprise, in April 2012, as the company’s first Vice President, Chief Marketing Officer. He currently serves as Chief Experience Officer and Executive Vice President, Corporate Strategy. His background and leadership credentials add diversity and depth to Centene’s executive leadership team. In 1999, Mr. Minifie brought his experience as a former U.S. Marine and U.S. Naval Academy graduate to the Procter & Gamble Company. He spent over a dozen years at P&G learning the art and science of brand building across a range of product categories. His work on brands such as Charmin, Duracell and Eukanuba, encompassed both North America and Global roles. With this history, Mr. Minifie brings an “engagement and experience” perspective into Healthcare, just as the trends towards consumerism pick up adoption in the category. He brings a high degree of discipline to his areas of responsibility to ensure that Centene lives its purpose “to transform the health of the community, one person at a time.” Often, this is for the nation’s underserved and economically challenged population. Born and raised in Connecticut, he characterizes himself as a “New Englander,” with an extensive LL Bean wardrobe and a life-long affinity for the Red Sox and Patriots. Married to his senior prom date, he and wife Kelly have a daughter, son and three dogs. Operating under the Ralph Waldo Emerson philosophy that "health is the first wealth," and a belief that "everything matters," Mr. Minifie has distinguished himself professionally and in his communities as an enthusiastic leader, committed to developing those around him. He volunteers his time, leadership and marketing experience with organizations that build youth character, give back to the nations veterans or work to solve pressing health issues. We can all likely agree that strong relationships are fundamental for succeeding and thriving in many—if not all—aspects of life. In the world of marketing research, establishing and maintaining strong partnerships is critical to ensure insights gleaned from studies deliver not only on the research objectives but are also clearly aligned with real business needs. Given her own experience on the client side as well as within research and consultancy firms, Jamila knows the importance of such relationships all too well. In this session, you’ll receive ideas, tips and practical applications for better partnering with internal clients to crack the code on expressed learning objectives as well as for more fully integrating, and thereby elevating, the role of external partners. Jamila Watson hails from Memphis, Tenn. Returning to the Greater Cincinnati area in March 2011, this is her second tenure in the city. From a career perspective, Jamila is a highly accomplished and deeply driven marketing professional with a successful track record in marketing research, brand strategy and innovation. With nearly 20 years of experience across numerous industry verticals coupled with the unique vantage point of serving as a client, consultant and supplier throughout her career, Jamila is a highly regarded strategic partner and gatherer of actionable insights. A recent rehire to FedEx, she currently serves as Insights & Design Research Advisor within its Customer Innovation Research & Insights organization. 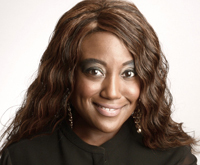 Prior to FedEx, Jamila was an Account Manager at Burke Inc. and Insights Strategist with Seed Strategy. She has an MBA from the University of Cincinnati and a BBA with a concentration in marketing from The University of Memphis. Jamila is a community leader. Her passion for servant leadership is intrinsically woven into all aspects of her life. With a primary focus on women’s causes, Jamila is heavily engaged with numerous local nonprofit organizations. Customer-obsessed companies that make insights-driven decisions are growing more than 30% annually on average. CMOs are embracing data, knowledge, and organizational trends to elevate their understanding of customer interactions that drive the business. But CMOs must also support insights innovation or risk not keeping pace with customers’ changing behaviors and demands. This presentation shows how CMOs can blend customer, marketing, and business insights to drive deeper engagement with their customers. Panel Discussion: Balancing Speed and Quality - How Good is Good Enough? The pressure to deliver insights faster has never been greater. In many cases, decision makers are willing to accept accuracy over speed but “How good is good enough”? We will explore this topic from a client, supplier and academic perspective. 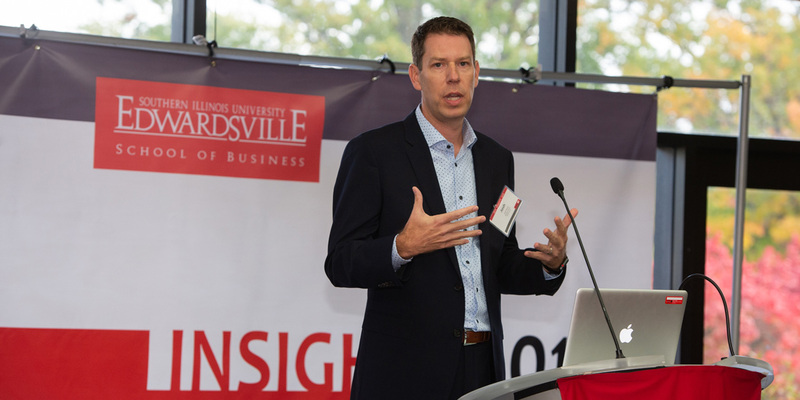 As a customer advocate who is passionate about data-driven decisions and insights, Kenny uses marketing research and data analytics to influence strategic discussions vis-à-vis customer benefits and company value opportunities at Monsanto. 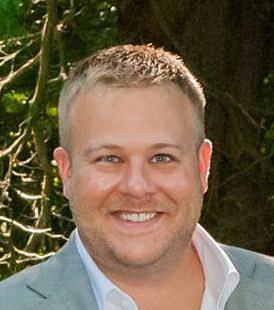 Prior to his role as Senior Director of Global Marketing Research at Monsanto, Kenny held senior roles at various marketing research firms, consulting Tech clients, such as Microsoft, HP, Intuit, Dell, etc., as well as client side positions at both Compaq Computer and Arthur Andersen. A distinctive mix of expertise, experience and pragmatism drive his thought leadership in marketing research and its application. Whether it’s a complicated choice-based research design, a quick-turn multivariate analysis or developing marketing strategies to fill the stadium at his beloved Alma Mater TCU, Chris embraces each challenge with the passion and commitment usually associated with hardnosed defensive backs. 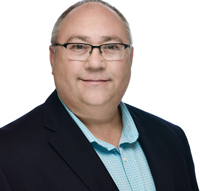 For more than 30 years, Chris has honed his research skills across a wide variety of categories - from telecom and IT to consumer packaged goods, hospitality, medical products and consulting. Undoubtedly influenced by a colorful, exotic upbringing in West Africa, Chris has an almost insatiable desire to continue exploring and stretching his professional range. And this is why he is equally adept at developing a complicated multistage forecasting project or delicately moderating consumers through in-depth conversations about mortality and medicine. Ram Madupalli currently serves as the Associate Professor Marketing and director of the SIUE Master of Marketing Research (MMR) program. He has a BE Mechanical Engg from Andhra University, MBA from IPE, India, and PhD Marketing from Georgia State University. He conducts research in multitude of areas spanning, sales effectiveness, practices & management, marketing analytics, BPO processes, political strategies and more. He has over 30 research contributions in international journals and conferences. He teaches in the areas of Marketing Research Methods, CRM and Marketing Management to graduate students. Ram's work is a recipient of multiple awards and especially his dissertation titled "Salesperson behavioral determinants of customer equity: an effectiveness approach" is a recipient of 2006 AMA dissertation award. His consulting expertise is in the areas of analytics, sales management and forecasting. He also works with educational consulting companies, for improving the efficiencies in educational placements. On a personal level, at the age of 24 he moved to USA for higher studies in 2001. He is an ardent cricket follower, a poker fan, a charity events organizer, and presently lives with his wife and two daughters in St. Louis, USA. Gayle has held senior management positions at a variety of major brands which include Hillenbrand, Roadway, FedEx, Sears Holdings, GE, J&J and AT&T. Her experience includes leading global research departments as well as positions in marketing, advertising, brand management and strategic planning. Currently the President of GML and an adjunct professor at Sinclair Community College. Gayle currently serves on the Advisory Board of the Southern Illinois University Edwardsville MMR Program, the Market Research Exchange and she previously served on the board of the Great Lakes Chapter of the Marketing Research Association. Shehas been a frequent speaker at major industry conferences and has been featured in a variety of industry publications. Gayle received her BA from Ohio Dominican College in Columbus, a MA from Ohio State University where she also did some doctoral work. Other educational accomplishments include completion of the Executive Management Program at the Weatherhead School of Management, Case Western. She is also a certified RIVA qualitative moderator. 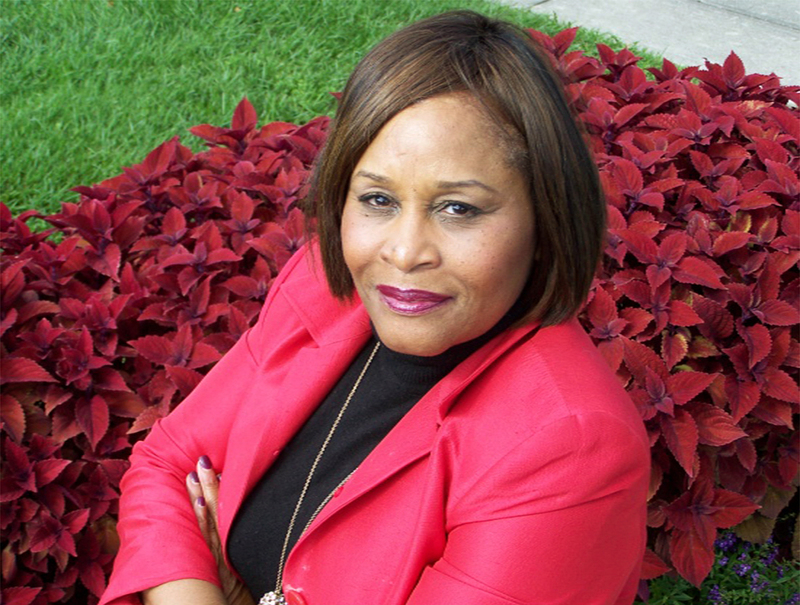 In addition to professional organizations, Gayle is actively involved in community services organizations where she has held offices including the president. There’s nothing artificial about making better decisions. Augmenting human expertise with technology systems can uncover deeper learning and enable better, more iterative decision-making for brands looking to grow. Research has shown that using augmented intelligence technology can reduce cost by 70% and deliver 50% more research, while driving a 40% uplift in marketing. This transformation allows for better methodologies, more impactful insights across organizations, and insights professionals being at the heart indispensable business partners again. Jared has had multiple roles within the consumer insights industry over the past 14 years, spanning everything from door-to-door interviewing to statistics to sales. As a result of these varied experiences, he’s developed a passion for industry transformation, wanting to help his insights colleagues become more impactful, more efficient and more hopeful. He’s now pursuing this passion at ZappiStore, a technology company dedicated to empowering insights professionals by giving them easier access to better consumer insights. Abby is an experienced Insights professional with 10 years in the industry. She started in this field of work as a Senior Consultant at a management consulting firm out of Chicago. 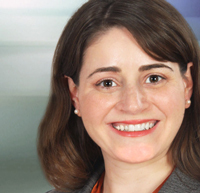 For the past 5 years at Nestle Purina, she has become an expert in Social Listening, Media Insights, and most recently, within the newly formed Emerging Insights group. In each of her roles, she has worked to transform data into meaningful strategic learnings for the company. Abby holds a MBA from Loyola Chicago and a Master’s in Marketing Research from SIUE. In today’s fast paced business environment decision makers need insights that directly drive results but equally important they want the insights fast. Insights but with speed. These are the marching orders for today’s insights professional. How do insights professionals thrive in this environment? What tools exist that enable today’s marketing research professional harken to the call for in depth insights that drive results but delivered with maximum speed today not tomorrow. DIY Tools may be a solution. However, there are some critical things to consider. When are DIY Tools the right direction? What are the advantages and disadvantages of DIY tools? Jennifer will answer these questions and more. You will get look at the latest DIY tools, hear case studies on how these resources can speed up the research process, and see a live demo of DIY tools in action. Jennifer has over four years experience in primary research, digital media, integrated data and strategic consulting. 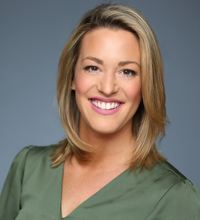 During her career in this space, Jenn has supported industry-leading organizations, practitioners, and agencies across a wide array of industries to derive meaningful and actionable insights, enabling better business decisions. As researchers, all of us should share the responsibility that customer centricity has to extend beyond just feeling like the “right thing to do.” Management will demand evidence of the financial return for investing in customer satisfaction and loyalty programs. This presentation is designed to present exactly this financial case. We review select secondary data, as well as our own extensive multi-industry linkage database to present a compelling “show me the money” case for investing in customer-centric programs. The presentation will review the monetary worth of every incremental point of customer satisfaction and loyalty, and use the data to present some key principles of linkage research. This will allow the attendees to introspect on some basic and very important questions related to their own measurement programs – viewing the world through the customer’s lens, the art and science of customer measurement, estimated ROI of customer investments, creating an optimal index of customer loyalty, and many other fundamental issues. In these roles, he serves as a senior level advisor to Burke’s clients, as well as to the company’s internal project teams concerning the design and analysis of customer engagement studies, and studies linking customer, financial, employee, and operational measures. Kunal also performs a lead role in the company’s research and development efforts, involving development of new customer engagement and loyalty research products, and enhancement of Burke’s current analytical offerings. He also designs and teaches courses for The Burke Institute, and is a frequent speaker at various conferences, workshops, and universities. Kunal received his Ph.D. in the area of customer engagement from McGill University in Montreal, and has MBA and Engineering degrees from leading universities in India.